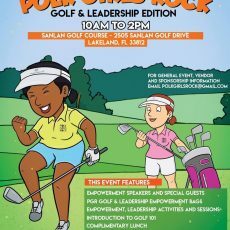 April 27, 2019 @ 10:00 a.m. - 2:00 p.m.
Polk Girls Rock Golf and Leadership Event at Sanlan Golf Course – 2505 Sanlan Golf Drive, Lakeland, FL 33812 on Saturday, April 27, 2019 from 10am to 2pm. POLK GIRLS ROCK: Golf and Leadership Edition is a day filled of empowerment, leadership, and introduction to golf to young girls in the Polk County surrounding areas. The event will cater to young girls between the ages of 5-18. The event will provide an educational classroom and outdoor golf setting where trained and professional golfers, positive role models, and small business owners within the Polk County Community join forces and help young girls learn leadership skills, introduce the sport of golf, discuss the positive effect of self-awareness and confidence, and the importance of believing and pursuing your dreams and in yourself through various team building exercises, golf drills, empowerment activities and much more. 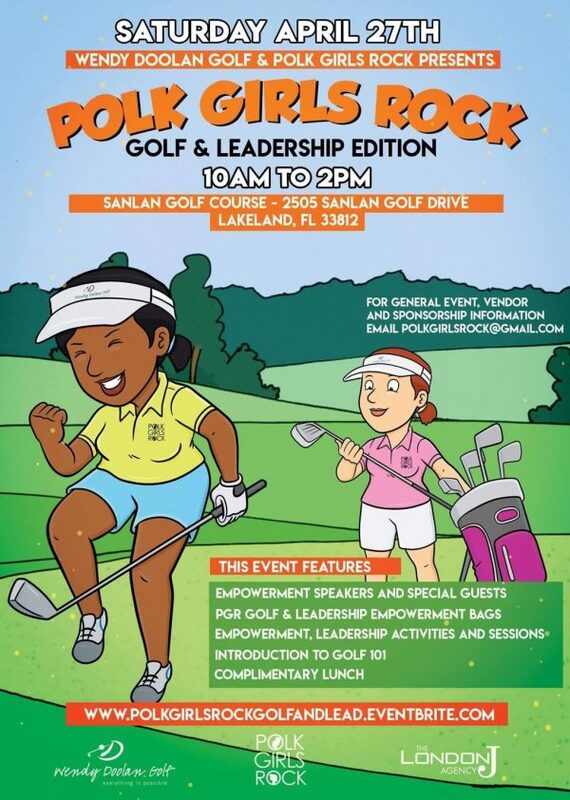 The first 2019 Polk Girls Rock Empowerment Series theme will include introduction to golf and leadership as we partner with Sanlan Golf Course and Pro-Golfer and Golf Coach Wendy Doolan to bring our attendees a memorable experience.